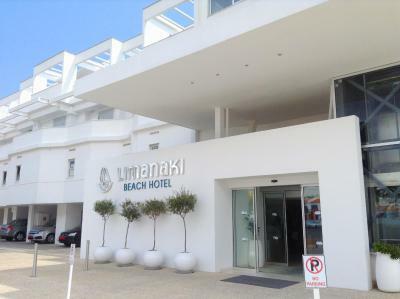 Lock in a great price for Limanaki Beach Hotel – rated 8.2 by recent guests! PERFECT LOCATION AND STILL QUITE. NO NEED TO USE YOUR CAR OR A TAXI TO VISIT NEAR BY PLACES. NICE VIEW OF THE HARBOUR AND PERFECT PLACE FOR BREAKFAST. The property was ideally located on the marina, 2 minutes walk from the beach and a short 10 walk from all the bars and restaurants. Rooms were clean and tidy and the hotel staff were all very pleasant. The rooms are big. The beds are very very comfortable. The service is more than great. The breakfast buffet is very nice and lot of varieties. Nice ocean view! 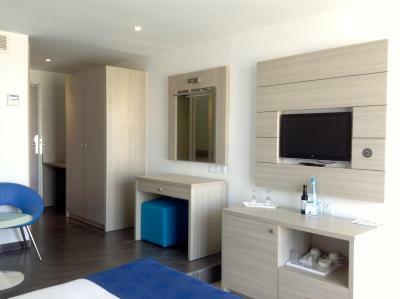 Comfortable rooms and good service. Breakfast spread was very good. Staff was very helpful when we misplaced an item and they kept it for us to pick up. The room was clean and the bed was comfy. 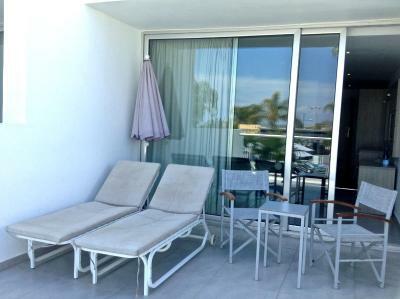 The location is very good since it is only few minutes away from the beach and restaurants. The location is very good. Room had a nice view and was recently renovated. Very close to the beach and far enough from the noisy centre. The staff was firendly and helpful. A bit overpriced as for such room . 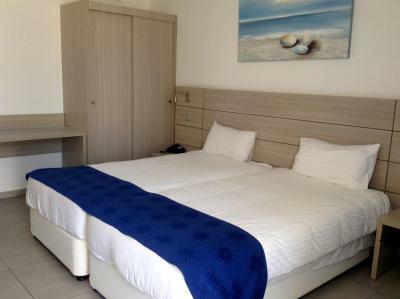 Limanaki Beach Hotel This rating is a reflection of how the property compares to the industry standard when it comes to price, facilities and services available. It's based on a self-evaluation by the property. Use this rating to help choose your stay! 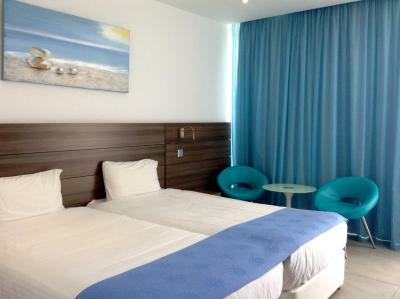 By the sandy beaches of Ayia Napa, Limanaki Beach Hotel overlooks Cape Greko and the picturesque harbor. 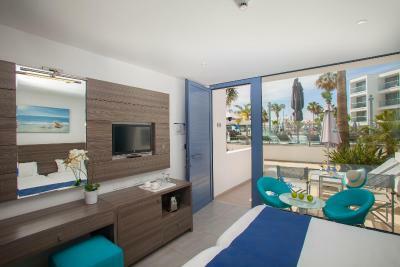 It features an outdoor pool and spacious rooms with a terrace or balcony featuring pool or Mediterranean Sea views. 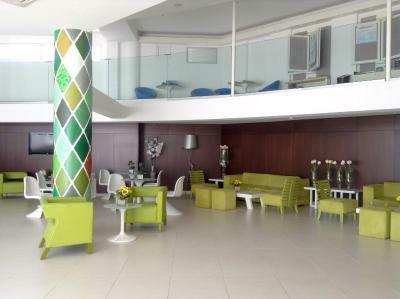 Accommodations are modernly furnished and come equipped with air conditioning and satellite TV. 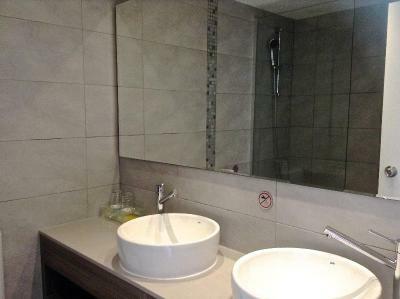 The bathroom includes a hairdryer and shower. 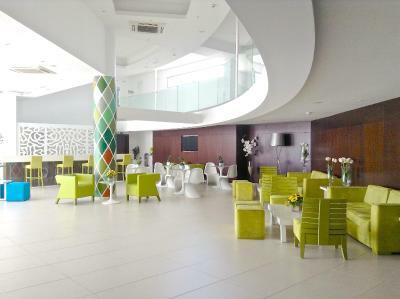 Some also have a minibar and large balcony with lounge chairs. The 4 on-site restaurants serve seafood dishes, local and international cuisine. 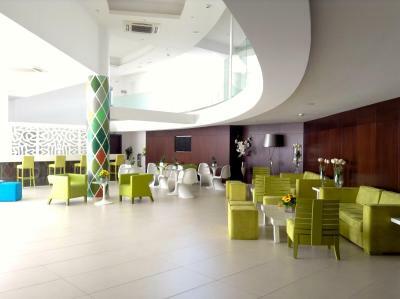 Refreshing drinks and beverages can be enjoyed at the hotel’s bars, which include a terrace bar and cocktail bar. Buffet breakfast is served daily. The facilities at Limanaki Beach Hotel include a fitness center, ping-pong and a wading pool and playground for the younger guests. Wi-Fi access is available in all areas of the hotel for a fee. A variety of taverns and shops are found along the coast, just a short walk from the property. It is 4 miles from Kavo Gkreko. Ayia Napa Monastery is a 5-minute walk away and Water World is only 2 miles away. 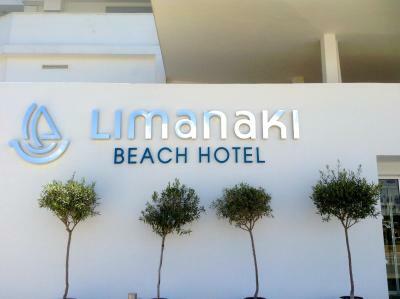 When would you like to stay at Limanaki Beach Hotel? 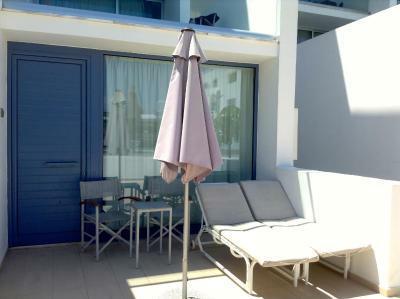 Offering a furnished terrace, this air-conditioned room includes a 43" flat-screen TV, fridge and safe. 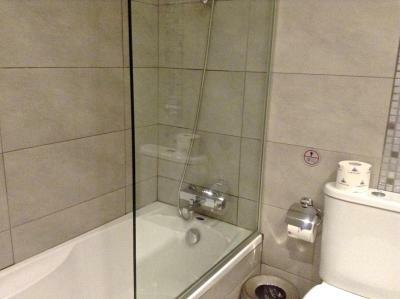 Its private bathroom is stocked with a bath or walk-in shower. The terrace is fitted with free sun loungers and coffee table. Free WiFi and tea/coffee facilities are provided. 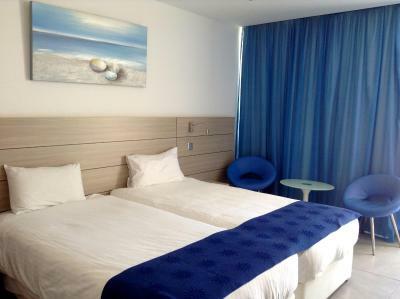 Kindly note that this room type cannot accommodate an extra bed/guest. 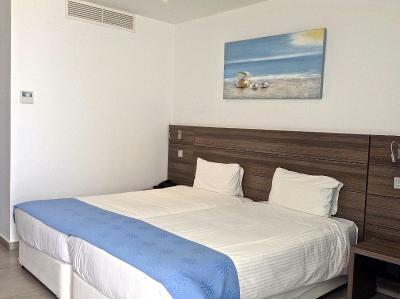 Offering a furnished balcony with sea view, this air-conditioned room includes a 43" flat-screen TV, USB sockets, safe and fridge. Its private bathroom is stocked with a bath or walk-in shower and hairdryer The balcony is fitted with a coffee table and sun loungers. Free WiFi and coffee/tea facilities are provided. 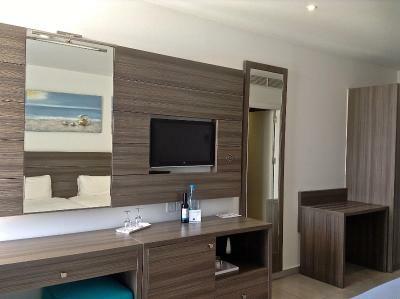 Featuring a balcony with sea views, this room offers a fridge, safe, 43" flat-screen TV, USB sockets and bathroom with walk-in shower or bath. A hairdryer is also available. The balcony is fitted with a coffee table and 2 coffee chairs. Free WiFi and coffee/tea facilities are also provided. Kindly note that this room type can accommodate an extra bed/guest. 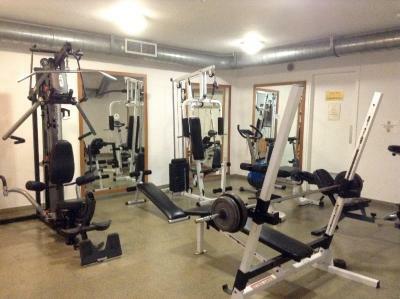 It is suitable for up to 3 people. 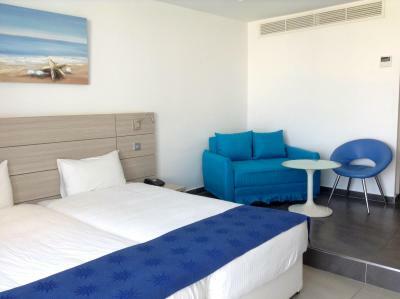 Featuring a large furnished balcony with pool views, this spacious room offers a fridge, 43" flat-screen TV,. 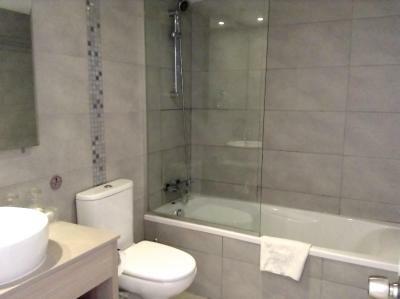 USB sockets, safety box and private bathroom with rain shower. 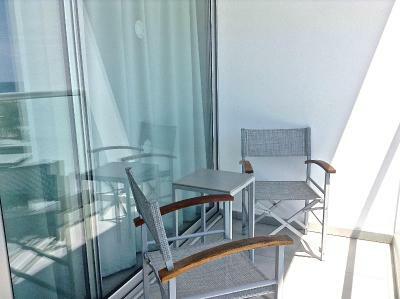 The balcony is fitted with 2 sunbeds and 2 coffee chairs. A bathrobe and slippers are provided upon guests' arrival. Free WiFi is provided. Coffee/tea facilities are available. Kindly note that this room type can accommodate an extra bed/guest. It is suitable for up to 4 people. 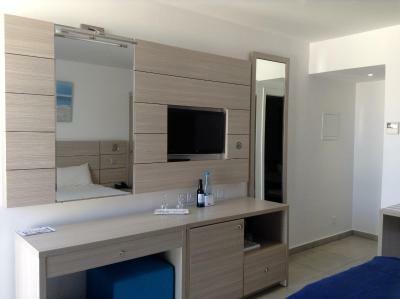 Offering a furnished balcony with sea view, this air-conditioned room includes a 43" flat-screen TV, USB sockets, safe and fridge. 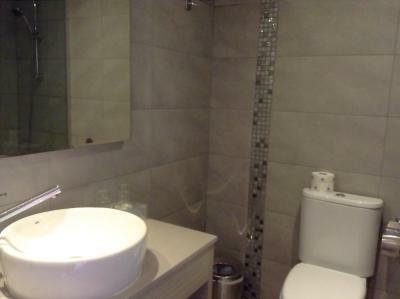 Its bathroom is stocked with a walk-in ran shower or bath. The balcony is fitted with a coffee table and sun loungers. Free WiFi is provided. Coffee/tea facilities are also provided. This suite features a balcony, seating area and cable TV. House Rules Limanaki Beach Hotel takes special requests – add in the next step! Limanaki Beach Hotel accepts these cards and reserves the right to temporarily hold an amount prior to arrival. A safe and mini-bar is available upon request with surcharge. In order for the booking to be confirmed the guest's name needs to be the same as the credit card holder's name. Guests are also kindly requested to present the credit card upon arrival. How can you call it Beach Hotel if they have just a pool ???? Breakfast very poor with an horrible orange and other juices ( not fresh maybe with powder). Faulty floor construction in the bathroom. When taking shower, flooding of water in whole room. High noise AC. Avoid room nr 108. Terrass is too small and shaded from the sun. Breakfast is not the best. Location was good to the beach and marina. It would be nice if the staff were more helpful. Good location, nice pool, very good breakfast. A LITTLE BIT OLD FURNITURE AND BEDROOM, THE BATHROOM WAS CLEAN BUT TOO OLD, IN GENERAL THE ROOMS NEED SOME RENEWAL. A LITTLE BIT OF OUTDOOR WALK FROM ELEVATOR TO THE ROOM. If you sleep with balcony door open it gets noisy. All toilets in Ayia Napa have bad flush so you are supposed to not throw paper in the toilet. the room was not ready when we arrived to the hotel due to the weeknesess of the housekeeper staff. I asked for a double bed ...I was given two twin beds...when I asked why the reception said it's just a request and it's based upon availability ..... The shower jel and shampoo where left inside the bathroom from the previous customer ... Went at the breakfast at 10:01 asked for a coffee and received a very rude reply...I cleaned the machine!!!! Internet connection is a joke and should not be advertised as service included in price. If you want to get the working internet access, the fee is charged.